For the full report on re-entry programs for youth with disabilities in the juvenile justice system, go here. When young people with disabilities end up in the juvenile justice system, they're less likely to return to youth prisons after their sentence is up if they have jobs or go to school quickly after being released, a new paper says. However, comprehensive programs that help these youth go from prison to the outside world are scarce, says this piece from Project Forum at the National Association of State Directors of Special Education. And juveniles with disabilities have a high recidivism rate—more than the 55 percent rate for youth without disabilities. The report looks closely at the practices in four states—Arizona, Georgia, Hawaii, and Oregon—when it comes to supporting all juveniles, including those with disabilities, who are leaving the justice system. Some common practices the report found in states with programs intended to reduce recidivism for these young people include: a continuum of supports for youth that begins in prison and keeps going once they leave; transition facilitators or coordinators who are dedicated to working with these youth; and programs for reentering society that are comprehensive, addressing education, employment, social and behavioral skills, mental health, substance-abuse issues, housing, and transportation. Another common theme in the report? Budget problems often keep these programs from going long-term. •Before youths' release, Arizona's Department of Juvenile Corrections assigns them a transition coordinator who establishes a relationship and supports them after they leave. Four of these coordinators travel the state and work with parole officers, the state director of special education, and school districts to ensure these juveniles are enrolled in the right programs at the end of their sentences. These coordinators even go to students' IEP meetings. •Georgia's "Think Exit at Entry" program provides educational planning, progress reviews, transition facilitators, and other supports to youth in the juvenile justice system, including those with disabilities. The program has been scaled back since a federal grant expired in 2007, although some parts of it have kept going because of the partnerships already established among state agencies. •Hawaii's Olomana School serves students in the Hawaii Youth Correctional Facility, and youth participate in regular meetings about their behavior and school work. Because the state runs all schools in Hawaii, transferring records back to schools when students are released is seamless—and transfer of records is critical to a successful reentry for students with disabilities, the report says. •Oregon's Project STAY OUT—Strategies Teaching Adolescent Young Offenders to Use Transition Skills—is specifically for youth with an IEP, 504 plan, or mental health diagnosis. Youth work on self-determination skills, social skills, finding work, and other goals. One study found that 66 percent of STAY OUT participants were either employed or in school during the first six months after their release from juvenile justice programs, the very things that are likely to keep them from returning. 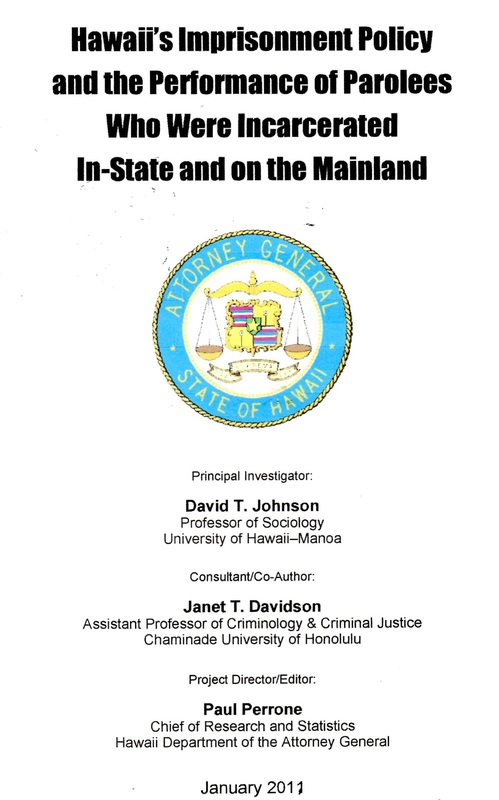 This document could go a long way towards changing the Hawai'i prison system; I'm impressed that it was released by the state Attorney General. That, in turn, could have ripples elsewhere - certainly in Eloy, AZ, where Corrections Corporation of America incarcerates nearly 2000 Hawai'ians. Eloy has real problems - as does CCA.18 Hawai'ian prisoners are suing employees at Saguaro prison there for torture, and one is suing for sexual assault (the guard who perpetrated it was actually prosecuted). All either Eloy or CCA seem to be concerned with is the money they can make in Arizona, of course, not reducing crime or victimization in Hawai'i or human rights abuses in their own community. If Hawai'ian legislators don't get on the ball with sentencing and prison reform, they should be called out as either incompetent or corrupt - no one can afford for any of them to be indifferent to the prison crisis anymore. Read the report this links to, then find your state legislators here. The key term is "evidence-based practice". Good luck. I hope you manage to wage a successful boycott of Eloy and CCA by the time this battle is over. Israel outlawed private prisons because the profit motive is in direct opposition to human rights concerns - maybe Hawai'i will abandon them as well, for all the right reasons. This study examined the records of the 660 persons who were released on parole in the State of Hawaii between July 1, 2005 and June 30, 2006 (Fiscal Year 2006). It addresses two main questions: What are the demographic and criminal history profiles of parolees who have been incarcerated in Hawaii and in private prisons out of state? And, how do the recidivism rates of these two groups compare? Using records obtained from the Hawaii Paroling Authority, the Department of Public Safety, and the Department of the Attorney General, parolees were tracked for three to four years after their release from prison. - 54 percent of Hawaii’s prisoners are incarcerated in private prisons on the mainland — the highest percentage among all U.S. states. - As of the end of 2009, it cost approximately $118 per day to incarcerate an inmate in Hawaii, and at least $62 per day to incarcerate him or her in a private prison on the mainland. Note, however, that unlike the in-state per day cost, the private prison cost estimate is not all-inclusive. - 75 percent of Fiscal Year 2006 parolees never served time in a private prison on the mainland, while 25 percent did serve time there. - Of the one-quarter of parolees who have been imprisoned on the mainland, 70 percent served half or more of their time there. - The average time served on the mainland was 3.5 years. - Parolees averaged 56 total prior arrests and 24 convictions per parolee, including an average of 20 prior felony arrests and 8 felony convictions. - Parolees in the mainland cohort had somewhat more felony arrests and felony convictions per person than did parolees in the Hawaii cohort. - Parolees in the mainland cohort had been convicted of fewer property and drug crimes, and more violent and “other” offenses, than had the parolees in the Hawaii cohort. - The average maximum sentence for parolees who had been incarcerated on the mainland was longer: 10.9 years, versus 8.5 years for the Hawaii cohort. - The average time served by the mainland cohort was longer: 6.2 years, versus 3.2 years for the Hawaii cohort. 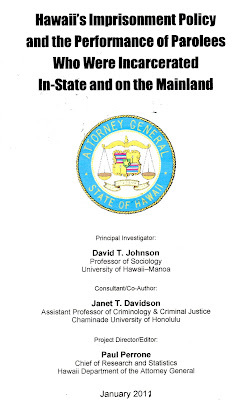 - The mainland cohort included substantially more males than did the Hawaii cohort: 20 male parolees for every female parolee in the mainland group, versus 4 male parolees for every female parolee in the Hawaii group. - As compared to their male counterparts, female parolees in both cohorts were more likely to be property and drug crime offenders. - There were no statistically significant differences in ethnicity between the two parole cohorts. Most notably, Native Hawaiians comprised 40 percent of each cohort. - Parolees in the mainland cohort received significantly lower scores on the Level of Service Inventory-Revised (LSI-R). Hence, mainlanders had fewer needs for service and a lower average risk of recidivism than did parolees in the Hawaii cohort. - In the aggregate, the LSI-R scores predicted recidivism fairly well. - A little more than half of parolees in both cohorts failed on parole within three years. - The average time to recidivism in both cohorts was about 15 months. - The recidivism rate for the mainland cohort (53 percent) was slightly lower than the recidivism rate for the Hawaii cohort (56 percent), but this difference is not statistically significant. - There was more recidivism among the mainland cohort for parolees in the higher-risk LSI-R categories. - There was more recidivism among the mainland cohort for violating conditions of parole. - Nearly half of all rearrests were for violating the conditions of parole. - In both cohorts, older people recidivated less than did younger people. Age is a powerful ally of efforts to stop criminal offending. - There were few significant differences between the two cohorts in acts of misconduct committed while in prison. - Parolees in the mainland cohort were more likely to violate parole conditions than were parolees in the Hawaii group. - Furlough programs were related to significantly lower rates of recidivism among mainland parolees, but not among parolees who were imprisoned only in Hawaii. - Since there is no empirical justification for the policy argument that private prisons reduce recidivism better than public prisons, the State of Hawaii should decide whether to continue, discontinue, expand, or contract its reliance on private prisons based on other criteria. While cost is one criterion, it is not the only one that is important to consider. - It is ill-advised to rely on a framework for thinking about corrections (herein termed humonetarianism) that stresses short-term financial savings at the expense of programs aimed at improving the prospects for offenders’ rehabilitation and the satisfaction of their basic needs and rights. Long-term savings are often found in forward-thinking policies and programs. - The State of Hawaii needs to calculate more inclusive and accurate estimates of the cost of incarceration in-state and in private prisons on the mainland. - Much more research needs to be done in order to adequately describe the contours and consequences of Hawaii’s correctional policy. One high priority is a study that explores who gets sent to prison (and where). The present study examined only persons who were released on parole. - The State of Hawaii should conduct more research about its correctional policies and outcomes, especially given a policy world that is increasingly evidence-based. - The Department of Public Safety and the Hawaii Paroling Authority need an integrated records management system. At present, inmates’ records are often incomplete, scattered, and difficult to locate. Pursuant to A.R.S. § 41-1609.01, on December 21, 2011, the Arizona Department of Corrections (ADC) submitted the Biennial Comparison of “Private Versus Public Provision of Services” Report to the Joint Legislative Budget Committee (JLBC). comprehensive biennial report comparing private and public provision of services, required by A.R.S. § 41-1609.01(K)(M), had not been completed and submitted to JLBC since the law was originally enacted. In order to comply with the statutory requirement and produce the report, it was necessary for Director Ryan to develop the tools needed to capture sufficient data to measure and compare private and public prisons. This included creating a new prison operations inspection program and annual audit process that could be used both to ensure operational compliance and to collect and to measure data for the required comparison. In addition, it was necessary to revise existing processes and develop new processes to reliably capture and report event-driven and outcome-based comparative prison data. This included enhancements to the significant incident reporting (SIR) process, collection of assault data and mortality data, and revision of internal data collection tools for inmate programs and services. Once annual audit data was available for calendar year 2011 and comparative data was available for fiscal years 2010 and 2011, the biennial comparison required by A.R.S. § 41-1609.01 was completed. The report is available on the Department of Corrections website. In expressing my dismay about the incident that occurred in the MCSO 4th Avenue intake area on December 16, 2011, I have angered some people employed by MCSO. To those individuals, I say, the information that I acted on came from inside the MCSO. There are employees of the organization who are disgusted by the actions of a few and will speak out. As sheriff, I will not tolerate this behavior or this attitude. I will not tolerate those who stand by and allow this type of incident to take place. Know that the days of covering up behind stalling tactics are over. The cover-up is frequently worse than the incident itself. The MCSO is under a microscope. Even if it was not, I expect all the employees should understand that they are held to a very high standard of conduct and will be held accountable for their actions. I am outraged that even one employee of the MCSO would stand by as this incident unfolded and did nothing to intervene. I am outraged by the atmosphere and attitude fostered by Arpaio that allowed this to happen. Know that those who continue to carry this attitude will have no place at the MCSO. /7nbuyma). What I saw disturbed me greatly on many levels. Ernest Atencio according to reports, was arrested for misdemeanor assault. He had not seen a judge. He had not even gone through the full intake process. Nevertheless, the offense he was arrested for, even if found guilty and convicted at trial, did not warrant a death sentence. American law enforcement is not judge or jury. Ernest Atencio arrived at the intake area under his own power and apparently healthy. He did not initially appear physically combative, and in fact, the Phoenix Police officers released him from his handcuffs. It has not been reported what the conversation was between PPD officers and Mr. Atencio that precipitated the officers to grab him and attempt to restrain him. If the reason for the physical contact was to put Mr. Atencio back into handcuffs, why do none of the officers have handcuffs out? There are no restraining tools of any kind visible. As Mr. Atencio struggles with the officers, a Phoenix officer appears to put Mr. Atencio into a choke hold (2:11), which is considered a deadly force tactic, and takes him forcefully to the ground. It appears that Mr. Atencio goes limp for several seconds at this point. The Phoenix officer is then pushed away by an MCSO detention officer and at least six detention officers appear to be pinning Mr. Atencio to the floor. Although he can’t be seen under the pile of at least six detention officers, it appears that Mr. Atencio suddenly surges and the detention officers apply a Taser in “drive stun” mode. This tactic involves firing a barb from close range, into the subject and then repositioning the Taser to make contact and complete a circuit that delivers an immobilizing electric current to the subject for a five second duration. The detention officers do not appear to be restraining Mr. Atencio during any of the applications, as those properly trained to use a Taser are instructed. Taser training also warns that repeated applications of the Taser is dangerous to the health of a subject and de-escalation tactics to bring the subject under control should be employed during the subject’s incapacitation to prevent the need for continued force. Equally disturbing are the actions of the other officers in the area. Several officers run into view from other areas and try to join in the pile. Others appear to be mocking Mr. Atencio and laughing about the encounter. Their behavior reinforces the perception the officers have a callous disregard for Mr. Atencio’s well being. In the holding cell, a detention officer is seen making what appears to be knee strikes to Mr. Atencio’s head. Another detention officer puts a restraining hand on that officer’s shoulder to stop him. This occurs while Mr. Atencio is being held down by at least five other detention officers. The application of knee strikes to the head while Mr. Atencio is being restrained is an inappropriately high level of force for the circumstances. Mr. Atencio is limp and unresponsive; yet, he is stripped of his clothing and dumped on the floor of a holding cell. The medical personnel present do not appear to ascertain Mr. Atencio’s medical status. No medical follow-up is conducted and Mr. Atencio is left alone. This again is contrary to Taser policies and training. Training dictates that anyone subjected to a Taser application be seen immediately after the situation is stabilized by certified medical personnel. A person subjected to multiple Taser applications should be seen by an emergency room Physician. The vague statement issued by Chief McIntyre that night after the story broke suggests an attempt to cover up the situation. His statement indicates that there was no in-custody death that night, an outright falsehood. The week delay in releasing the video and the timing of the release further suggests an all out attempt to bury the story by the MCSO. These situations require an open, timely release of preliminary findings. Delay and vagueness only fuel anger and distrust in the community. Hiding behind a wall of silence is not appropriate. The leader of the organization must be front and center and accountable to the community. Only in this way can the organization be trusted to do what is right. Here they are putting Marty in a "safe room" now. I have a problem with this policy of stripping mentally ill or unstable prisoners naked to assure their "safety" - it just compounds trauma with humiliation. Good coverage and observations below, from the Phoenix New Times: Check out links to Stephen Lemons' continuing coverage of the death of Marty Atencio here. Last week, Marty Atencio's brother Mike told me that he and his family believe Sheriff Joe Arpaio's detention officers "murdered" his brother, leaving the 44 year-old Army vet dead in a cell, only to ship him out to St. Joseph's Hospital later, so the MCSO could deny that Atencio was an "in-custody" death. On Tuesday, Atencio's family made the decision to remove him from life support, but the family's attorney Mike Manning later noted, "[Atencio] died in the jail." Friday, the MCSO released eight hours of video, some of it documenting Atencio's stay in the sheriff's custody. The chilling words of Atencio's brother and of Manning have not been rebutted by that footage. Watch the video above, taken from hours of jail tape the MCSO unceremoniously dumped on a ravenous media Friday afternoon. What do you see? I see a pack of uniformed officers jumping on one unarmed man, who seems to be making no aggressive moves toward them. While beneath this pile-on, Atencio was Tased. That the Tasing was unnecessary is self-evident. There's also creepy footage (not seen above) of Atencio being thrown naked into an isolation cell. In it, Atencio is not moving, and looks to be unconscious. The scene in the cell is eerily reminiscent of MCSO video of Juan Farias Mendoza, an inmate allegedly beaten to death by detention officers in Arpaio's jails back in 2007. Mendoza was 40. Atencio was 44. Both men were Tased several times in custody. And each man was a father. Mendoza had three kids. Atencio's family told me he has four, ranging in ages from 15 to 24. The world might never have known about Mendoza, had not an anonymous tipster informed New Times of his brutal demise. Recently, Maricopa County settled with Mendoza's family to the tune of $1 million. Which makes you wonder: How many incidents like these have occurred in Arpaio's gulags that we don't know about. The media has been in a feeding frenzy over the Atencio death, coming as it does on the heels of the U.S. Department of Justice's watershed report on the MCSO's discriminatory practices toward Latinos in and out of Arpaio's jails. "The Atencio family has instructed that I make no comment today concerning the jail video just released by Sheriff Arpaio," Manning said. "They are deeply grieving the death of their Marty and do not want their burden and hurt to interfere with the joys, blessings, and good cheer that other Valley families are looking forward to on this eve of the Christmas weekend. We will have a comment on Monday or Tuesday." Atencio was acting erratic before and after his arrest by Phoenix cops on charges of assault. The Atencio family has indicated their loved one was bipolar and not on his medication at the time of his arrest. Manning's stated that blood tests of Atencio done at St. Joe's showed no illicit drugs or alcohol in the man's system. Such factors aside, there's no excuse for such a death. Despite this, the MCSO boasts a gruesome track record of citizens dying needlessly in its custody. These individuals often become victims because they are already part of some at-risk group. Over the years, New Times has stood sentinel for them all: the diabetic mom denied her medication, the mentally retarded man asphyxiated till brain dead; the legally blind man beaten till comatose; the drug addict son offed in a restraint chair of the kind now banned from Arpaio's jails; and so on. Now New Times stands sentinel for another in a long line of those neglected and abused by the MCSO -- the beaten, the Tased, the tortured and the slain. A line destined only to end when Arpaio is removed from power. UPDATE 12/27/11: For more video of Atencio in custody and attorney Mike Manning's comments on same, click, here. UPDATE 12/28/11: For Atencio's obituary and funeral service schedule, please click, here. 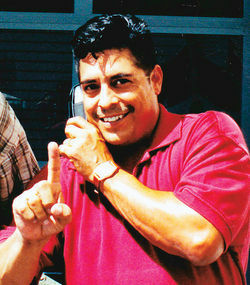 UPDATE 1/4/12: Marty Atencio laid to rest, please click here. UPDATE 1/5/12: Psalm for Marty Atencio, please click here. UPDATE 1/10/12: Phoenix Police arrest report released, please click here. Arizona cancels RFP for 5,000 private prison beds. The Department of Corrections' reports and statistics can be found here. News releases are here. Phoenix, Az – Since January 2009, the Arizona Department of Corrections (ADC) has worked with the Governor and the Legislature to ensure that Arizona’s correctional system operates in the public’s best interest. ADC’s primary focus has and continues to be public safety, provided in a manner that is efficient, affordable, and transparent. To address prison population growth over the years, ADC has constructed new prison facilities, added new and temporary prison beds at existing prison facilities, and contracted with private prisons for adult male beds. In fiscal year (FY) 2009 and early FY 2010, ADC, the Governor’s Office of Strategic Planning and Budgeting (OSPB), and the Joint Legislative Budget Committee (JLBC) were forecasting a continued inmate population growth rate of 114 inmates per month based on a history of continuous inmate population growth from FY 2001 to FY 2010. Expecting the prison population to grow to nearly 50,000 inmates by the end of 2016, ADC forecasted a need for an additional 8,500 prison beds, both state-operated and private beds, by the end of 2017. ADC’s forecasted bed need, resulted in the passage of legislation (State of Arizona, Laws 2009, Third Special Session, Chapter 6, HB 2010, FY 2010 Criminal Justice Reconciliation Bill), authorizing ADC to contract for 5,000 private prison beds within the State of Arizona. In keeping with the Governor’s desire for a reasonable balance of private and public prison options for minimum custody and medium custody inmates, ADC initiated the procurement process and on February 23, 2010 issued a Request for Proposal (RFP) for 5,000 minimum/medium security male beds. However, on September 1, 2010, in response to the July 30, 2010 ASP-Kingman escape and given the priority of public safety, ADC cancelled the RFP in order to revise and strengthen it. ADC released the revised RFP on January 24, 2011, received proposals from five (5) vendors on February 24, 2011, and conducted five (5) public site hearings between August 9 and August 18, 2011. Since the original legislation authorizing the 5,000 private prison beds, ADC has worked in unison with the Governor and her staff to ensure continued fiscal responsibility in all activities. This includes annually evaluating inmate population growth and bed needs. In FY 2010 and FY 2011 inmate population growth dramatically declined. ADC’s prison population grew by only 65 inmates in FY 2010, and then declined by 296 inmates in FY 2011. FY 2010 and FY 2011 had the two lowest growth rates on record dating back to 1973. Therefore in light of the decline in inmate growth, it was prudent to reassess Arizona’s prison bed plan both in terms of the total number of beds and the types of beds. As a result, ADC has determined that of the 8,500 prison beds originally identified, only 2,500 are now needed; 2,000 minimum/medium security male beds are scheduled to come online and be operational in FY 2014 and 500 maximum security male beds are scheduled to come online and be operational in FY 2015. Therefore, ADC is cancelling, effective December 22, 2011, the current RFP (110054DC) for 5,000 private minimum/medium security male beds. To secure the needed prison beds, ADC will request 500 additional maximum state- operated beds and will issue a new RFP for 2,000 private minimum/medium security male beds under the authority of A.R.S. § 41-1609. ADC will work with the Governor to secure funding for the new beds and to assure public confidence in the fiscal accountability of our correctional system. This report will be the first of its kind in Arizona. To date there has been no government or independent analysis of the performance and quality of all prisons in the state. Given that private for-profit prisons have operated in Arizona for decades, this fact in itself is shocking. Arizona has invested millions of taxpayer dollars in for-profit prisons but has provided no evidence that these prisons are safe, cost effective, or competent at fulfilling the job taxpayers pay them to do. 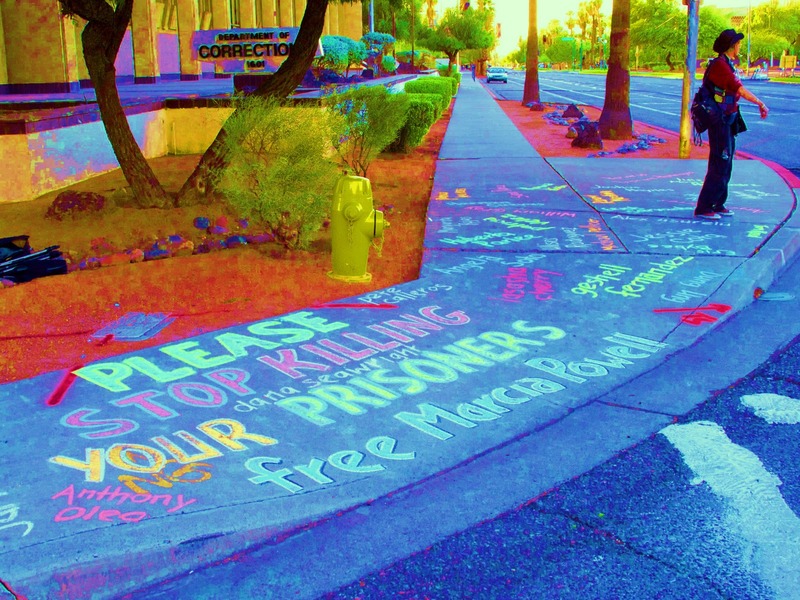 When AFSC learned that the state had not properly monitored and reported on for-profit prison operations, as mandated by law, AFSC undertook its own investigation into the prison industry in Arizona. The conclusions are based on data from published studies, news reports, state audits, Department of Corrections data and safety inspection reports, and first-person testimony. The full report will paint a more complete so far available picture of the performance of for-profit prisons in Arizona. Included in the study are data on six prisons operated by Corrections Corporation of America that are located in Arizona but do not contract with the state, putting them outside state oversight. This data provides a unique glimpse inside a group of prisons that most Arizonans don’t even know exist. Below you will find the preliminary report summary, and much the data used for the main report. Additional data will be posted, along with the complete report. In response to public pressure, the Arizona Department of Corrections agreed in August 2011 to prepare a report of its own. AFSC believes that the public deserve an independent assessment before the signing of contracts for additional for-profit prisons. Released December 19, 2011. This is the preliminary report summary. It provides insights into the full report material, and highlights some of the key findings. AFSC is releasing these preliminary findings to help the public understand the scope of the problem caused by prison privatization in Arizona and to encourage more discussion and review before any more public funds are spent on private prison beds. How the political strategies of private prison companies promote ineffective incarceration policies. As the federal government continues its reliance on immigration detention, more and more people, including thousands in Arizona, are forced to endure injustices and inhumane treatment. Through contracts with private corporations and local county jails, U.S. Immigration and Customs Enforcement (ICE) detains 3,000 immigrants on any given day in Arizona - a 58 percent increase over the past six years. This copy of a PowerPoint presentation by Arizona Department of Corrections Director Charles Ryan reviews basic statsics for the Arizona prison system in 2011, with projections for 2012. Department’s misleading cost data and improper contracting make prison solutions more elusive. Arizona Department of Corrections Offender Operations' security assessment of Management and Training Corporation's (MTC) running of Arizona Prisons; Florence West, CACF, Marana, and Phoenix West. Arizona Department of Corrections' report on Kingman facility from which two inmates escaped. Yesterday, through her attorneys, Miriam Mendiola-Martinez filed a federal lawsuit against Maricopa County Sheriff Joe Arpaio, the Maricopa Medical Center, Maricopa County Sheriff’s Officers, and Maricopa Medical Center doctors and nurses, alleging that she was shackled by Maricopa County Sheriff’s officers during labor and after her Cesarean delivery. Her attached complaint, alleges that Sheriff Arpaio and the other defendants violated several constitutional rights, to include the Eighth Amendment rights to be free from cruel and unusual punishment and the right of prisoners to adequate health care. The complaint states that in December 2009, while she was held as a prisoner in Maricopa County jails, Ms. Mendiola-Martinez was repeatedly shackled during her labor and while she recovered from a Cesarean birth. She also alleges that a MCSO deputy or correctional officer forced her to walk, with her hands and feet shackled, wearing only a hospital gown and with a bleeding surgery wound, out of the hospital and then back into the hospital while she was being discharged from the hospital. The American College of Obstetricians and Gynecologists and the American Medical Association oppose the shackling of women in labor or recuperating from delivery. In 2008, in Nelson v. Norris, the Eighth Circuit Court of Appeals found the shackling of women prisoners during labor to constitute cruel and unusual punishment, in violation of the Eighth Amendment. The Arizona Department of Corrections eliminated the practice of shackling women in labor or in postpartum recovery in 2003. In 2007, the United States Marshal’s Service eliminated the practice of shackling women in labor. In 2008, the Federal Bureau of Prisons eliminated the practice of shackling women in labor. Ms. Mendiola-Martinez is represented by Attorneys Joy Bertrand, Shannon Peters, and John McBee. Signs of Resistance: "Why haven't we evolved?" The year-end report by the folks at the Death Penalty Information Center tell more and more Americans what they already know in their hearts to be true: The death penalty experiment is failing yet again. Undermined by overzealous prosecutors, a hobby-horse for incurious politicians, too often taken unseriously by jurors and witnesses, capital punishment in America has devolved since 1976 into a costly, inaccurate, racially biased, and unseemly proposition. New death sentences dropped to 78 in 2011, representing a dramatic decline from last year's number of 112 and marking the first time since capital punishment was reinstated in 1976 that the country has produced fewer than 100 death sentences in a single year... Death sentences have declined about 75 percent since 1996, when 315 individuals were sentenced to death. Executions have also steadily decreased nationwide, with 43 in 2011 and 46 in 2010, representing a 56 percent decline since 1999, when there were 98. Texas had 13 executions in 2011, and 24 in 2009, representing a 46 percent drop over two years. There are a lot of reasons for these numbers. Prosecutors are seeking the death penalty less often because of the prohibitive costs of capital cases. Judges and jurors have new sentencing options (like life in prison without parole). Politicians can no longer deny the unsettling number of wrongful convictions that have sent hundreds of innocent people to death row over the years. The Supreme Court has sent unmistakable signals to lower court judges to rein in trial excesses. And most of the civilized world has turned against the practice. Also this year, the Gallup Poll, which measures the public's support for the death penalty, but without offering alternatives, recorded the lowest level of support and the highest level of opposition in almost 40 years. Only 61 percent supported the death penalty, compared to 80 percent in 1994. Thirty-five percent were opposed, compared to 16 percent in 1994. A more in-depth CNN poll gave respondents a choice between the death penalty and life without parole for those who commit murder. Fifty percent chose a life sentence, while 48 percent chose death. The most ardent supporters of capital punishment -- the ones who want more, not fewer executions -- look at all these figures and say in frustration: "Of course the rate of executions is down. This is down because of soft judges and crafty defense attorneys, and because of the murderers themselves, who with nothing to lose and nothing better to do have succeeded in choking the criminal justice system with all their bogus appeals." It's the same tired argument these folks have made for years, however, and it's clearly getting less traction -- in courtrooms, in living rooms, and in state legislatures. Take the big death penalty stories of 2011. They all buttress the figures offered by the DPIC. For example, there was the dramatic September execution in Georgia of Troy Davis, which educated millions of people about the fallibility of eyewitness testimony in criminal cases. Reasonable people have reasonably disagreed about whether justice was served in the case, but one essential fact has always jumped out at me. After a trial that included at least 40 witnesses, it took Davis' jury less than two hours to convict him of murder. That's just not good enough. Nor was the year's ghastly search by officials in several states for a key ingredient of the drug cocktail used in lethal injections. These executioners were forced to scramble like thieves for the drug sodium thiopental when its American manufacturer, Hospira, stopped making the product. What does it say about a state -- and a society -- that has to buy its lethal drugs on the sly through a private middleman, as Nebraska evidently did recently? It sends the same ghoulish message to the nation -- and to the world -- that the audience at a Republican debate in September sent when it wildly cheered the record rate of executions in Texas. Following those cheers, Texas Gov. Rick Perry chillingly told debate moderator Brian Williams that night that he "never struggled" with the idea that one of the men executed during his tenure was innocent. This says more about Perry, of course, than it does about the Texas' capital punishment regime, which has been repeatedly criticized even by the conservative United States Supreme Court. It says the gulf between the cavalier attitude of officials like Perry and the injustice often foisted upon capital convicts is large and growing larger. If this gulf widens -- as the DPIC's numbers suggest it has -- then states like Nebraska and officials like Perry run the risk of becoming constitutional outliers. The cheers for capital punishment may still be loud, in other words, but they are coming from fewer judges, politicians, lawyers, and jurors. Illinois turned away from the death penalty in 2011. For now, Oregon has, too. There were no death penalties imposed in Maryland, South Carolina, Missouri, or Indiana in 2011. And California is one ballot initiative away from finally packing in its wretched excuse of a capital scheme. The "evolving standard" of decency, the core element of the Supreme Court's Eighth Amendment jurisprudence, clearly "evolved" in 2011 against the nation's existing capital punishment protocols. Perhaps not enough to generate any sort of swift movement from the justices in Washington. But more than enough for men and women of good will to take notice. Although I can't be certain, I suspect that the Supreme Court is only two votes short of having a majority that would dramatically alter existing death penalty rules in favor of capital defendants -- or perhaps do away with capital punishment all together. Don't say I didn't warn you.